(l-r): Michael J. Dirrane, chairman of the board of MassHousing; Arthur Winn, founder of WinnCompanies; and, Chrystal Kornegay, executive director of MassHousing. 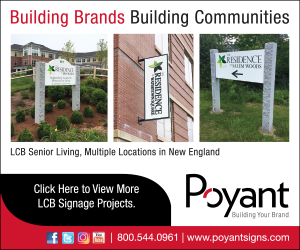 Boston – MassHousing, the independent agency responsible for providing financing for affordable housing in Massachusetts, has recognized WinnCompanies as the state’s leading partner for minority and women-owned businesses (M/WBE) for the 17th time. WinnCompanies received the Property Management Award of Excellence for awarding the highest value of contracts for goods, services and supplies to both minority and women-owned businesses at MassHousing-financed properties managed by WinnResidential during the most recent fiscal year. WinnCompanies’ overall expenditure in Fiscal Year 2018, which ended June 30, was approximately $38.1 million at 43 MassHousing-financed housing communities. Of that total, $7.7 million went to Minority-Owned Businesses (MBEs) and $6.1 million went to Women-Owned Businesses (WBEs). For 18 years, MassHousing has tracked annual expenditures under its M/WBE vendor program in an effort to encourage equal opportunities for those businesses to benefit from work generated by the apartment communities the agency has financed. WinnResidential managed 43 MassHousing-financed properties totaling 6,632 apartments in fiscal 2018. Since 2001, WinnCompanies has spent nearly $396 million for goods, supplies and services at communities financed by MassHousing. More than 13 percent of that total, about $52.8 million, went to MBEs; 6 percent, or about $23.8 million went to WBEs; and, 10 percent, or about $41.2 million, went to enterprises that were both minority and women-owned.